Make a rendezvous with the remote Himalaya mountains of Dolpo, the land of the Oscar nominated Caravan fame, Thinley, a culture nearby Tibet that has survived its originality for centuries. Thanks to the reportage of National Geographic Fame Eric Valli, the Dolpo region of Nepal has been shown in all its integrity and full mystical experience. Along with one of the deepest Himalayan Lakes, the Phokhsundo with beautiful turquoise blue water, watch the yak caravans that maintain the traditional salt trade with Tibet. The region lies further north from the Dhaulagiri Range in the rain shadow of the Himalayas – reflected in the colorful barren slopes of the mountains where the play of light and shadow is a perpetual fascinating spectacle. In summer, the caravans of yaks and sheep run through this valley on a trade route through the Himalayas and allows the exchange not only goods but also of ideas between the Tibetan Plateau and the valleys of Nepal. The Lower Dolpo Trek is meant for real adventurers wishing for an off-the-beaten-path experience. This remote region in western Nepal was opened for the foreigners only in 1990. The trek passes through Shey-Phoksundo National Park with spectacular mountain scenery, Buddhist monasteries and yak caravans. Our trek takes us through a wooded area, then load through rugged canyons in the barren plateau near the border with Tibet. After your arrival in Kathmandu, make a historical and cultural tour of Kathmandu valley and monuments while we obtain special permit for the lower Dopla trekking. Then we take our flight to Jhupal via Nepalgunj. Experience the high altitude tundra and rocks and the microclimate of Lower Dolpo and Phoksumdo with the cold air of the glaciers of Kanjiroba. Upon your arrival in the Kathmandu airport (TIA), you will be greeted by a representative from Himalayan Glacier Trekking. After completing your custom formalities (Visa, etc) pick up your luggage and look for our representative with a Himalayan Glacier Trekking display board at the arrival gate. You will be then transferred to Hotel Shanker or a similar category hotel. After check in, you can either take a rest, hang around in the city, visit our office; it all depends upon your interests and condition. In the evening we will organize a Welcome Dinner at an excellent traditional Nepalese Restaurant where you will enjoy a Nepalese cultural program as well as a fine meal. We take an hour’s flight from Kathmandu to Nepalgunj in Western Nepal. 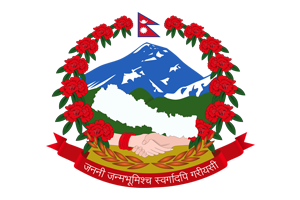 Nepalgunj which is a border town near Nepal-India border is the gateway to Simikot of Humla. The town itself is an interesting Terai town of Nepal with influences from both the Nepal hills and plains well as local Hindu & Muslim cultures. Some sightseeing places in Nepalgunj include Mini Zoo, Muslim bazaar, or if possible and interested take a walk into nearby villages. We have to also make preparation for tomorrow’s flight to Jhupal. After an early breakfast, we take a morning flight to Jhupal. The 45minutes flight over the high mountains brings you at Jhupal over the Himalayan foothills, with views of Annapurna and Dhaulagiri peaks to the north. On arriving at Jhupal our trekking staffs will receive you. Our first day adventure begins through the terraced fields to the Bheri River and the narrow gorge taking 2-3 hours to camp at Dunai. 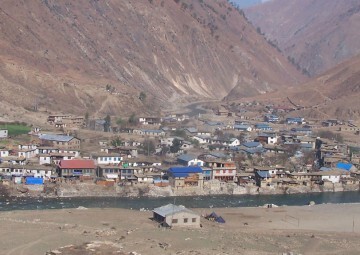 Dunai is the administrative headquarter of the Dolpo region. Explore Dunai in the evening. After breakfast we start our trek continues along the south bank of the river heading upstream on a good trail. Deep gorges, hanging bridges and isolated villages. A tremendous gorge with pine trees and an ingenious path built about seven meter above the river. The colorful terraced field of Tarakot greets us. Tarakot is an old fortress town built by the local people as Dzong or fort. The village stands on a hillock to the south of Bheri River at one time supervised collection of tolls for the trading caravans. After breakfast, we continue our walking to follow the Tarap chu river upstream, crossing by bridge and crossing the same river twice. The famed Sandul Gompa lies farther east from Tarakot and at the junction of Barbung khola and Tarup chu Rriver. The path leads through the farm terraces and rural villages. After a few ups and downs, finally descend to reach our overnight camp at Laini. Our morning walk begins after breakfast with a gradual up leading us at Kamattarka at the confluence of the Tarap Chu and Lang Khola, a stream flowing from the east. After few hours of good morning walk leaving the narrow gorge, from here the path leads just above tree lines for juniper bush and wild rose, typical of dry inner Himlayan valleys. Another 3 hours or more walk brings us to the village of Dho Tarap surrounded by an irregualr stone wall. In this Valley both Bon Po and Chaiba sects reside together. Tarap is also inhabited by a few Tibetans and mostly Magars who have lived here for many generations. We spend a rest day in Do Tarap for gradually getting used to the altitude. Time to visit monasteries and enjoy the breathtaking views. Make friends with the locals who have hardly seen westerners. The Dolpo people wear home spun clothing that is sometimes dyed maroon and they favour Tibetan style somba or dhocha (boots with upturned toes) for foot wear. Both men and women often wear religious amulets and strings of coral, amber and turquoise. The people of the region are both Bon po and Nyingmapa of Buddhist sect. The Buddhist Gompa is nearby to the camp while the Bon Gompa (pre Buddhist) is about half an hour’s walk. After a wonderful time at Do Tarap, our journey continues towards upper Tarap valley, the walk follows in this plain valley with patched of lush verdant grass on both sides of the river, which is completely different from other parts of inner Dolpo. The trek on this pleasant track leads by the Tarap chu upstream all the way. Tarap is certainly a dream valley with vast plains in high mountains. A few hours’ good walk takes us to the village of Tokyu, it has a monastery belonging to the Chiba sect. After visit this village our walk continues further up this valley climbing up the rough track for almost another three hours to reach our overnight camp beneath the Numa-la. This is one of the long and difficult days during the trek. After breakfast our journey continues to crossing of Numa La pass at 5,190m, the track leads to steep climb all the way to the top ridge of Numa la with great views of the surrounding landscapes. An incredible panoramic view of the barren mountains of Dolpo up to the Dhaulagiri (8167m). After getting to the top of Numa La we will descend to camp at Pelung Tang. After breakfast our morning trek starts with a steep climb to reach the ridge top of Baga-la at 5,070m, which offers fantastic views of the surrounding landscapes and of the distant snow capped peaks of Kanjirowa Himal range, after a glorious moment at the pass, almost three hours of downhill walk takes to the Dajok Tang for overnight. After breakfast our morning trek starts through the pine forest, on leaving the forest behind the country and the vegetation changes for pasture field and alpine shrubs most of the way to Ringmo on the gradual slopes with few ups and downs as we reach our final destination at Ringmo. A rest and exploration day. And of course we sit right on the shore of the spectacular Phoksumdo Lake; remember the harrowing scene in ‘Himalaya’ when Thinley’s yak caravan attempted the ‘Devil’s Trail’. Yak caravans will be heading in and out of Ringmo on their way north towards the border of Tibet, and our most northerly destinations, Saldang and Thinje. This is the pleasant day free from the hassle of packing and chance to visit the nearby Tibetan Buddhist monastery is well worth a visit, as is the village of Ringmo. A walk part way round the lake is also very enjoyable and relaxing. This is a great day exploring the lake areas and the crystal serene Lake of Phoksundo with a great views. overnight at camp. We take a flight from Jhupal to Nepalgunj. On reaching Nepalgunj, we return to Kathmandu on the next available flight. 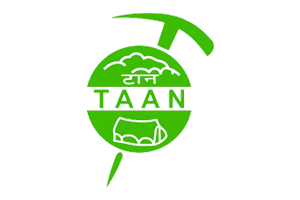 Upon arrival in Kathmandu, you will be transferred to your hotel. There is nothing to do but trade emails with travel companions and organize the photos. You can spend the evening leisurely, perhaps catch up on some last minute shopping and celebrate dinner together with Himalayan Glacier Trekking staffs. Overnight at Kathmandu. You are saying good bye to the mountains of Nepal as your journey in Nepal comes to an end today. There is nothing to do but trade emails with your friends and organize your photos. If you have more time you can do some shopping or sightseeing around Kathmandu. Approximately 3 hours before your scheduled flight a representative from Himalayan Glacier Trekking drops you to the airport and say good bye. On way home, we hope you will be thinking about your next adventure in the wonderful country of Nepal.